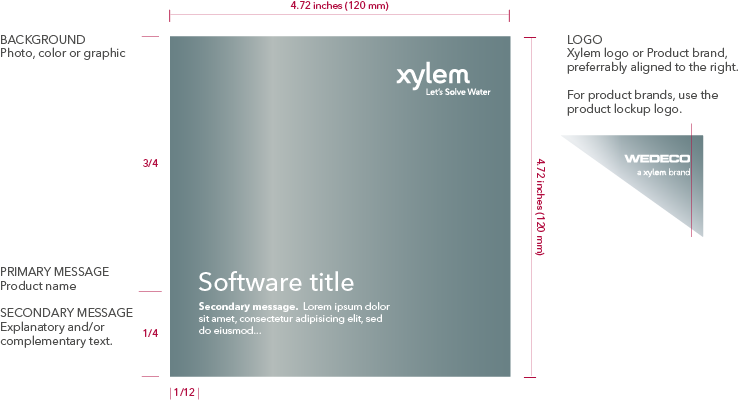 Software Packaging | Xylem Inc. In order to maintain consistency in the software packaging used throughout our organization, guidelines have been developed for disc labels, manuals and other packaging. Please use these references in conjunction with the other guidelines provided on this site when developing software packaging for your applications. 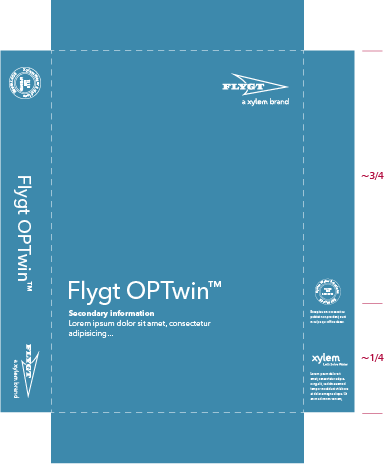 Disc labels may feature a solid color background chosen from the Xylem color palette, photo or wave graphic. Copy and logos are reversed out of the background in white. Use the Avenir Next family of fonts for all text. Other specifications are shown in the diagrams below. 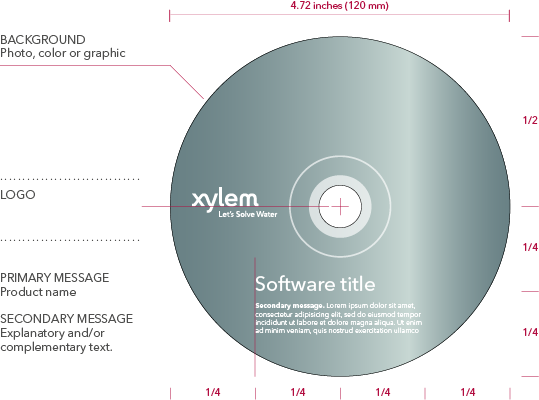 Discs featuring solid color backgrounds chosen from the Xylem color palette are shown below. 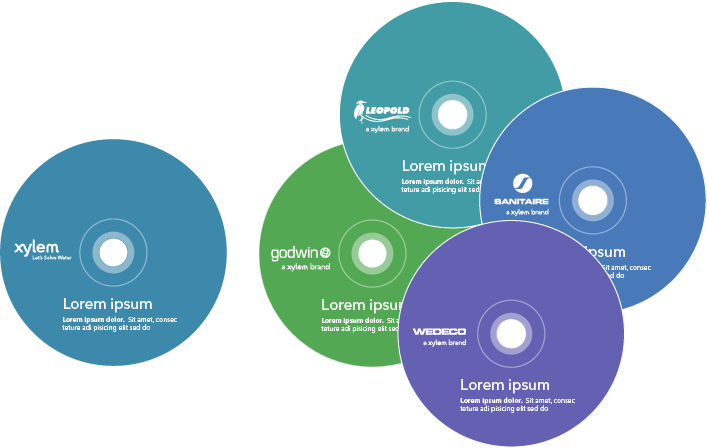 Discs using image and wave graphic backgrounds are shown below. Be sure to follow the guidelines found at https://xylembranding.com/core-elements/imagery.php when selecting and cropping imagery. Guidelines for using the wave graphics can be found at https://xylembranding.com/core-elements/wave-graphics.php. CD booklets and jewel cases also feature a solid color background chosen from the Xylem color palette, photo or wave graphic. Copy and logos are reversed out of the background in white. Use the Avenir Next family of fonts for all text. 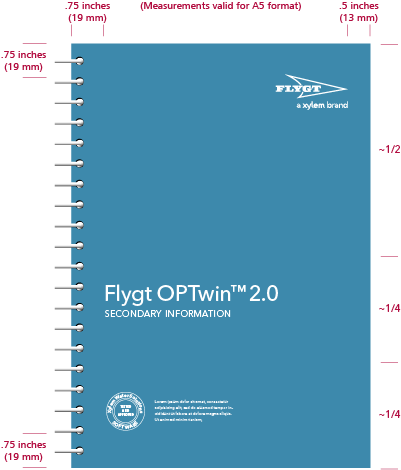 Other specifications are shown in the diagrams below. Disc cases and booklets featuring photographs, wave graphics solid color backgrounds are shown below. Be sure to follow the guidelines found at https://xylembranding.com/core-elements/imagery.php when selecting and cropping imagery. Guidelines for using the wave graphics can be found at https://xylembranding.com/core-elements/wave-graphics.php. Solid colors must be chosen from the Xylem color palette. Because box sizes vary, no exact specifications are shown. The background should feature a solid color, photo or wave graphic as described for the other software packaging items above. The box should resemble it’s content (disc label, disc jacket/jewel case and program manual) with regard to color and image. 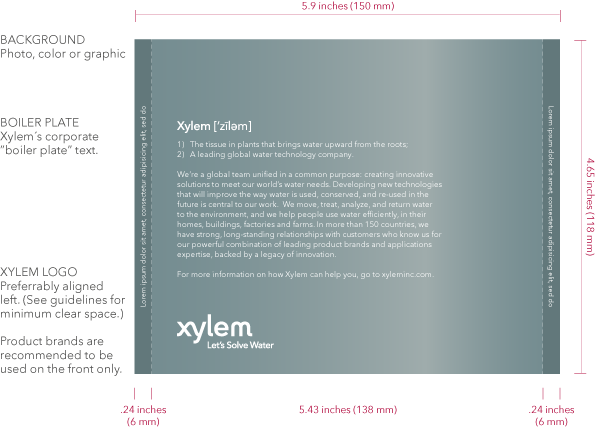 The program box may carry the Xylem logo or a single product brand. Alignment to the right is preferred. For product brands, the lockup with “a Xylem brand” must be used. However, the Xylem logo with tagline should always feature on the back and/or side of the box, manifesting Xylem Inc. as the “parent” company. Use the Avenir Next family of fonts for all text. 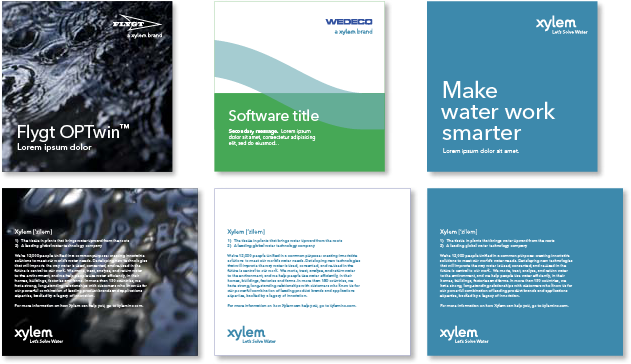 Program boxes and manuals using image and wave graphic backgrounds are shown below. Be sure to follow the guidelines found at https://xylembranding.com/core-elements/imagery.php when selecting and cropping imagery. Guidelines for using the wave graphics can be found at https://xylembranding.com/core-elements/wave-graphics.php.